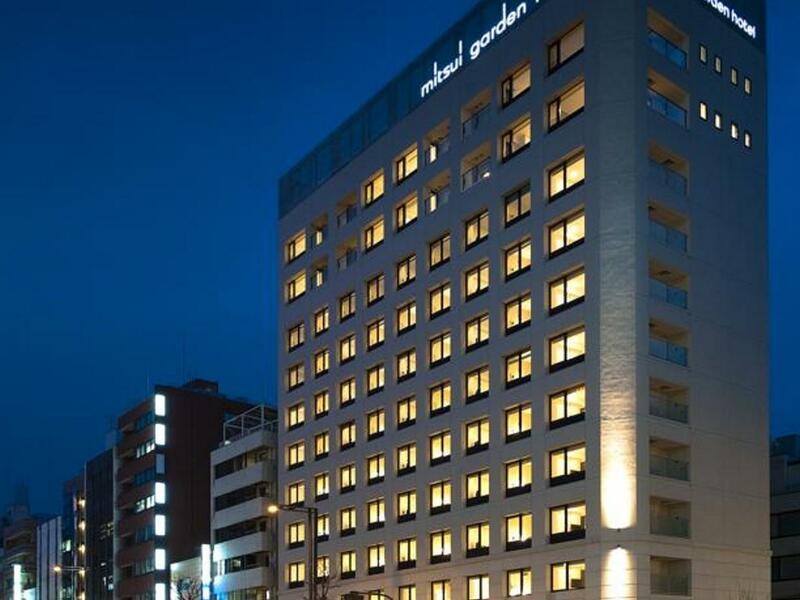 Ada pertanyaan untuk Mitsui Garden Hotel Yotsuya, Shinjuku-ku? Terletak strategis di area berbelanja, kehidupan malam, restoran di Tokyo, Mitsui Garden Hotel Yotsuya menyediakan tempat yang kondusif untuk melepas penat dari kesibukan Anda. Terletak hanya 1 km dari pusat kota, para tamu berada di tempat strategis untuk menikmati obyek wisata dan aktivitas di kota ini. Untuk pilihan lokasi jalan-jalan dan obyek wisata lokal, Anda tidak perlu pergi jauh-jauh karena hotel ini terletak dekat dengan Kedutaan Besar Republik Benin, Kedutaan Besar Republik Kepualauan Marshall, Kedutaan Besar Kerajaan Belgia. 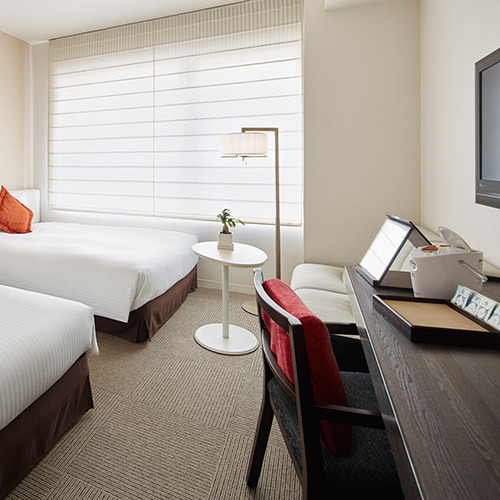 Dengan menawarkan pelayanan superior dan sejumlah fasilitas kepada para tamu hotel, Mitsui Garden Hotel Yotsuya berkomitmen untuk memastikan penginapan Anda senyaman mungkin. Ada beberapa fasilitas hotel ini seperti WiFi gratis di semua kamar, satpam 24 jam, layanan kebersihan harian, resepsionis 24 jam, penyimpanan barang. Nikmati fasilitas kamar berkualitas tinggi selama Anda menginap di sini. Beberapa kamar memiliki handuk, lantai karpet, sandal, televisi layar datar, cermin, yang disediakan untuk membantu Anda mengumpulkan tenaga kembali setelah lelah beraktivitas. Pijat di hotel ini adalah tempat-tempat ideal untuk bersantai setelah hari yang sibuk. Temukan paduan menarik dari pelayanan profesional dan sejumlah fasilitas di Mitsui Garden Hotel Yotsuya. 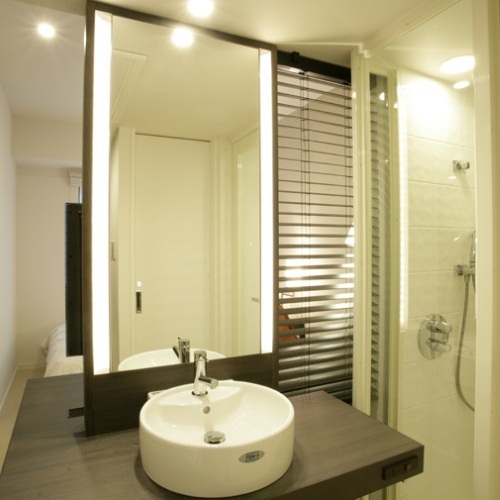 Kamar Triple Universal Design terletak di lantai 2. Hotel tidak dapat menerima permintaan lantai bagian atas. >5 min walk from station to hotel and only 4 stops from Shinjuku on the subway or 1 stop on the JR rapid train. Nice clean hotel with friendly staff. Room was a decent size, compact but not a shoebox, with a bathroom. Tea and coffee facilities as well as complimentary water which was great. would be happy to stay here again if visiting Tokyo. The hotel is located 2 blocks from the train station which made it easy for us to move around from one area to another. 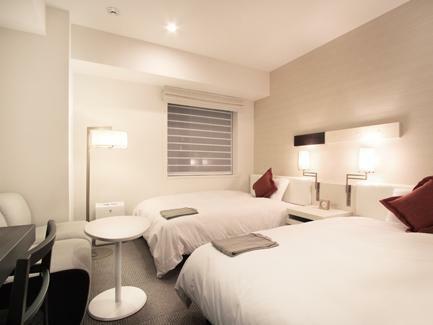 Situated in a quiet district of Yotsuya, the hotel is very clean, quiet and well maintained. The staff was very helpful and polite and pleasant. The room offered all the basic necessities with good Wi-Fi connection. We would definitely recommend this hotel. This is 1st time i extend the room for another hour because the room is too comfortable! 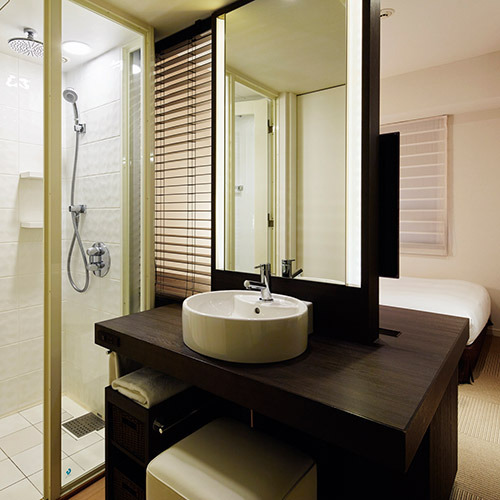 I like the face steamer, bathtub and all the amenities in the room. Is a place to relax before u back to your hometown. The train station is nearby but within walking distance, there is no place to shop. Its 8 days stay in this hotel, and overall was good. hotel is close to subway(red line and JR), it’s about 4min walk to get the station ; a lot of restaurants around as well as convenience store. Enjoyed our trip and will consider to back this hotel in our next visit. Very clean. Staff very helpfull. Lots of directions to popular destinations. Location close to the subway and train station. Nice breakfast available. Because it is some distance from Shinjuku, not so noisy nor crowded but still has some decent bars and food places around. Still within a few subway stops to Shinjuku so convenient all around. There is one Pizza restaurant at Ground floor connected to lobby and other than that, there is limited public facilities. Room is considerably big in Tokyo standard. 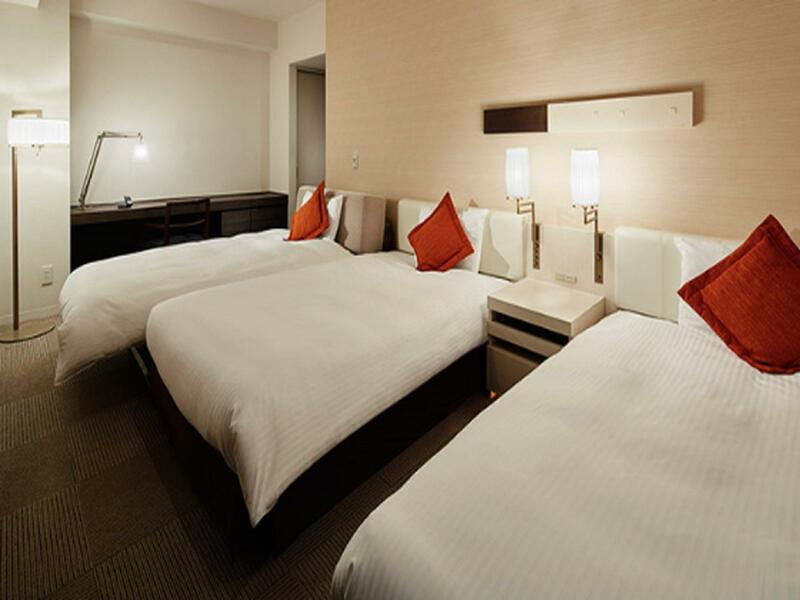 Hotel is near Yotsuya Station and provide easy access to wherever you may want to visit. Surrounding areas have heaps of small restaurants and good pub and bar too. 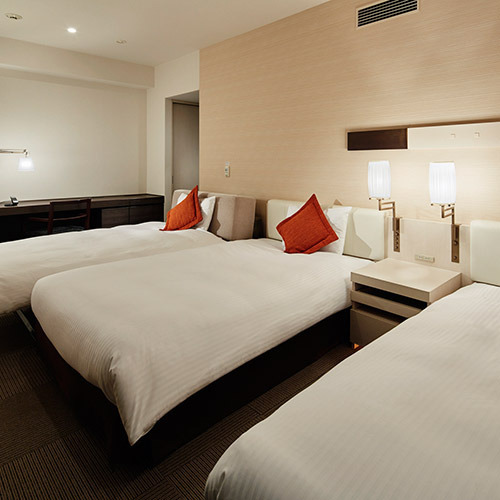 Hotel Staffs are very friendly and provide excellent service just like other Mitsui Garden Hotels. Thank you for staying at Mitsui garden hotel Yotsuya. First of all, we appreciate your valuable feedback. 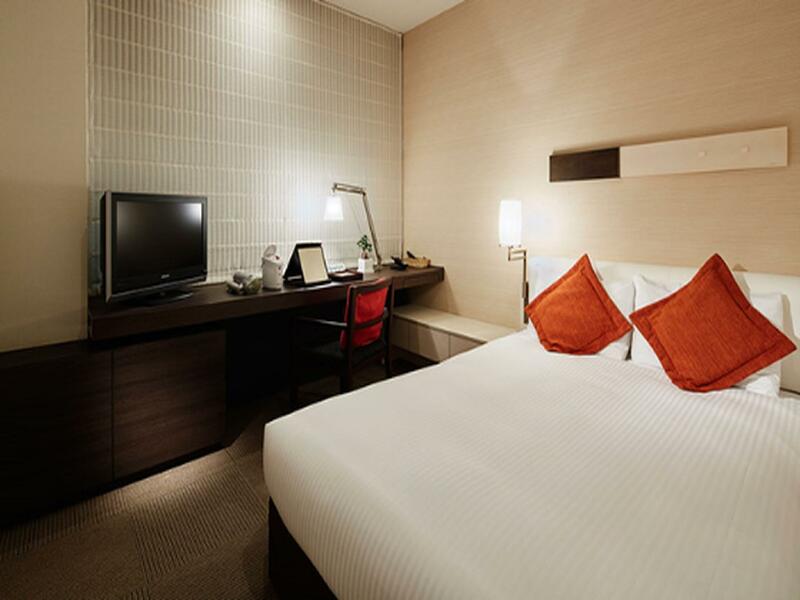 Our hotel is located 3-5 minutes from Tokyo Metro Marunouchi line ,Nanboku line and JR Yotsuya stations. We are honor that you are enjoyed and satisfied with your stay in our hotel. We are looking forward to welcome you again sometime in the future. 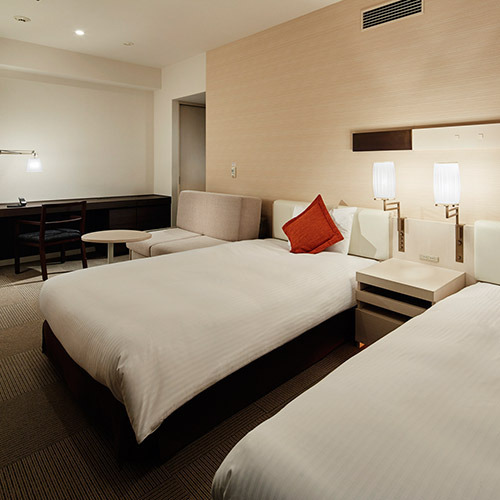 This is my first time to stay here, and I will certainly consider it my next time I visit Tokyo. The hotel is just a few quick stops from Shinjuku, but feels farther away. It's in a quiet area with lots of nice restaurants nearby. The hotel staff speak good English and were helpful with my requests. The room I stayed in was larger than many Tokyo hotel rooms, and cost only a little more. The one downside to this hotel was the breakfast buffet - it wasn't awful, just limited and lacking. I've paid less at other Tokyo hotels and had a larger selection at breakfast. Still, the pros far outweigh the cons here. 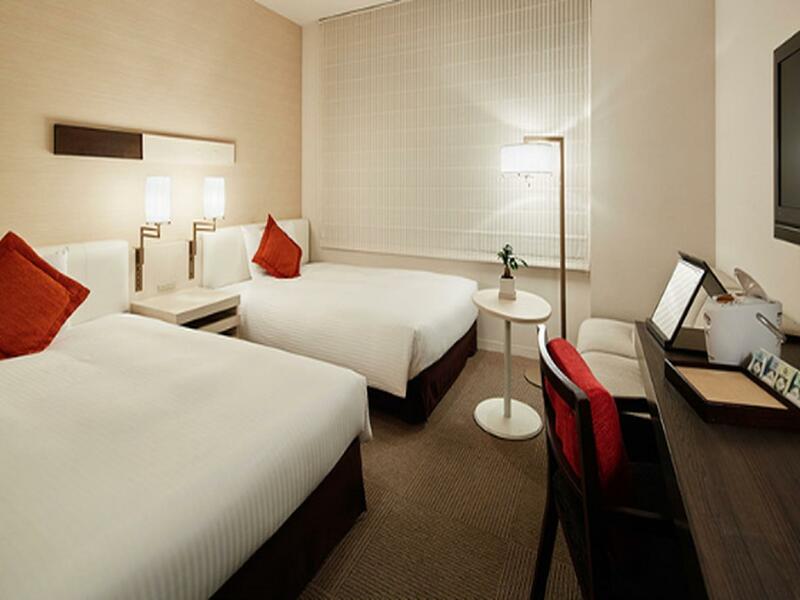 This hotel is only about 200 meters from Yotsua station and all JR and metro lines. It is also a close taxi ride to Tokyo night life. 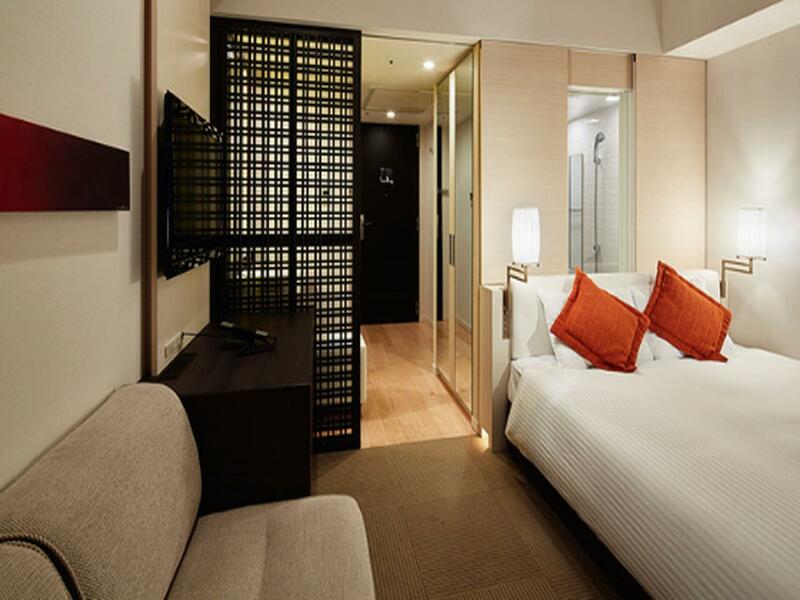 The rooms are comfortable and the staff is helpful. The hotel restaurant has excellent Italian cuizine. Nice. tidy rooms. Even though not very large , the rooms do not give you a feeling of being enclosed. Staff are friendly and location is great. Walking distance to train stations and steps away from bars and cafes even though it the quiet side of Shinjuku. A very nice place with lovely staff. I'd like to thank them for helping us fix my girlfriend's bag. They truly went above and beyond. Walking distance to Shinjuku Gyoen, right near the subway station. The room was nice with a view, overall a great value. Good location, near Station . Eatery shops nearby. Helpful staffs. No air conditioning, so if the windows are open, the traffic noise can be very annoying. Don't go for rooms facing the road. Breakfast spread , not much. Located not too far from (JR) Yotsuya Station, Shinjuku area, it has varities of restaurants and bars in the vicinity. Room is as big as any hotel rooms in Japan and clean. Attached with the hotel there is a nice pizza restaurant. A relaxing place and neighborhood to stay. 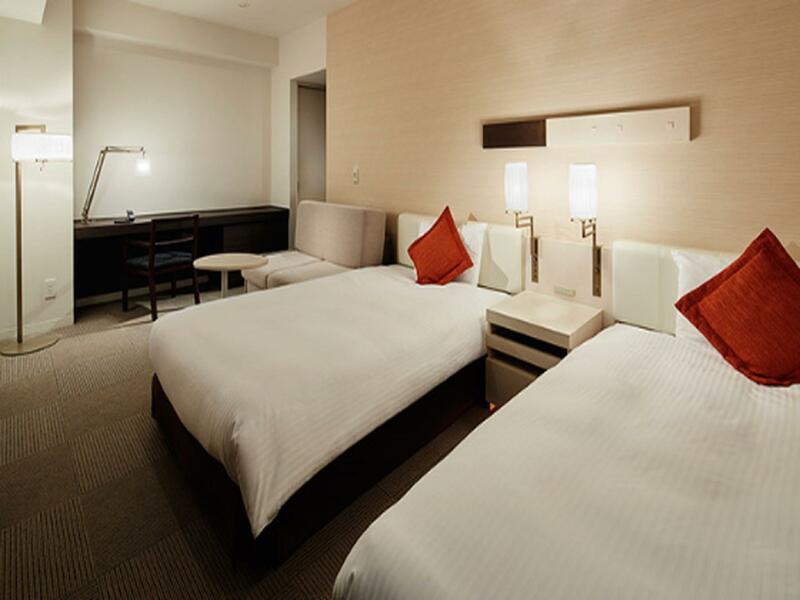 Major attractions can be reached easily by subway or JR.
Hotel is clean, staffs are helpful and polite, a nearby subway station (Yotsuya). Neighborhood has nice pleasant environment with lots of restaurant and mart around. A good deal for this hotel, highly recommended. NIce hotel with a nice restaurant attached. 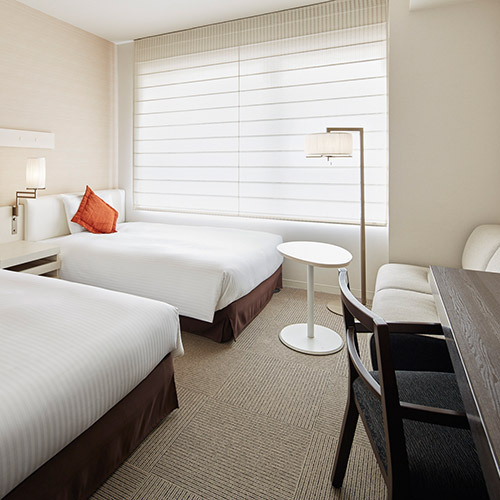 Very short walk to Yotsuya station and all of Tokyo attractions. Staff was very kind and helpful. Rooms were clean and nice. I would definitely stay there again. 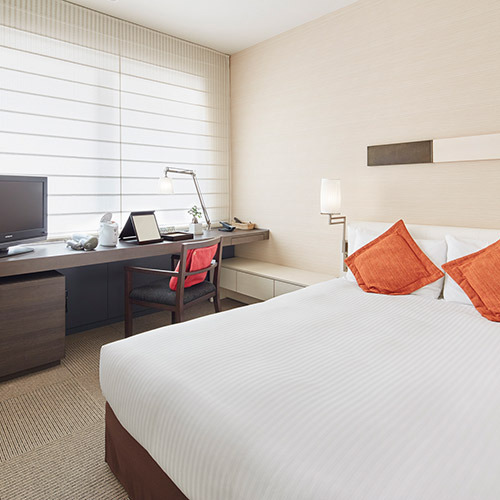 Hotel is in a good location, just a few minutes walk from Yotsuya Station which is on the chuo line and means easy access to Shibuya, shinjuku, Shinagawa etc. Rooms were a good size, very clean and with a very spacious bathroom. Perfect for a short stay! We stayed at semi double room, with a 4yr old. The room size is decent given in Tokyo. The room is clean and the staff is nice. I cannot comment on the dining as we did not eat at the hotel. 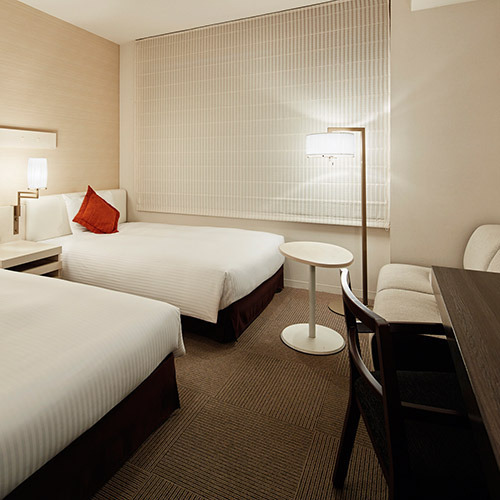 The hotel is only 2 min walk from Yotsuya station which is very good. the only negative part is the room air conditioning temperature seems fixed, and we have no way to lower the temperature manually (it will take the set temp, but it won't lower), I felt the room is a bit hot, but was not able to lower the temperature (even temp outside hotel is only 10c), the room is at something higher than 20c. Other than this, everything is very nice about this hotel given the price. 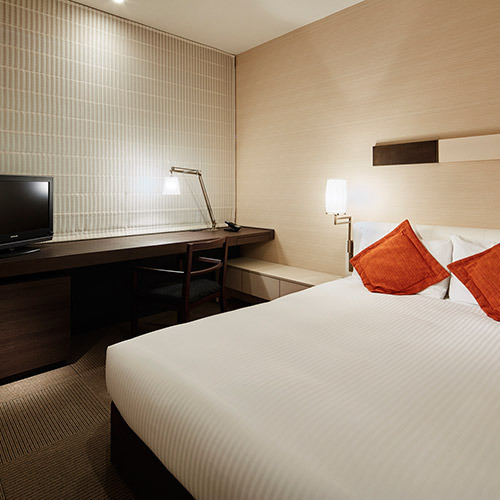 Close to Yotsuya Station, Decent room size given in Tokyo, Great Hotel Staff. Great 4-night stay. Room spacious enough for two medium suitcases and one smaller cabin-sized suitcase. 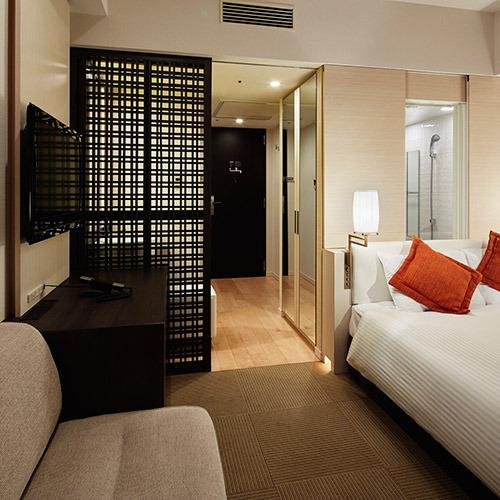 Well appointed room includes electric massage cushion, hair straightener appliance, electric face steamer, air purifier and humidifier, day robes, pajamas; on top of the usual amenities. Very comfortable bed and pillows with two different sides (harder/softer) so guests can choose the side that suits them. Location worked for us as we visited places to the east (eg Imperial Palace, Asakusa, Ueno) as well as to the west (eg Meiji Jingu, Shinjuku). Being served by three lines at the nearest Yotsuya station was most convenient; we used all three. As mentioned in earlier reviews, the hotel is surrounded by food options and convenience stores; we also found these useful for breakfast and dinner. Service and cleanliness standards are good. Housekeeping of rooms is inspected by the supervisor (we found a tag on the door to give us a choice to decline inspection). Staff ready to help eg on our last day we needed a taxi to Tokyo station and a staff member got out into the cold to hail one for us and direct the driver - then stayed on the sidewalk to bow a farewell to us, didn't turn back to the hotel until our taxi moved off. Didn't expect that at all. Overall, exceeded expectations and truly value for money. Will look out for this chain in other parts of Japan. My daughter and I stayed one night at this hotel. The staff were efficient and friendly and we were able to leave our suitcase with them after checkout so that we could travel around Tokyo for the day. We stayed in a non-smoking room on the 3rd floor which was very modern and clean. The room was quite big as well as the bathroom. The dinner we ate at the Italian restaurant was very delicious...the best pizza I have ever eaten. the only thing we were a little disappointed with was the buffet breakfast. We felt that there should have been more choices of foods. the hotel is very close to the station...walking distance. I would highly recommend this hotel and would stay here again.